Year 9 to 10 parent information evening will be held on Tuesday 14th August at 7pm in the James Nestor Centre. A Parent Information Evening – Managing Exam Stress is being held on Murdoch’s South Street Campus this Wednesday 15th August at 6:00pm. Parents of Year 10 -12 students are invited to join us to learn about helping their child manage stress as the examination period can be a challenging time for all students. Registration is free and light refreshments will be provided on the evening. To register, please visit the Parent Information Evening – Managing Exam Stress event page. Hear from Murdoch University's Gaston Antezana on the night. Gaston has worked as a clinician in Australia and overseas in different settings including schools, universities, mental health agencies and private practice for over 15 years. He is currently a lecturer in the Master of Counselling at Murdoch University and manages the clinical placements, including providing clinical supervision at Caladenia Counselling clinic. Attached you will find an electronic advert and poster which include the dates of our remaining Parent Information Evenings. We’d appreciate your support in distributing this information to your school community. Our Parent Information evenings aim to provide you with the right tools and information to confidently support your child’s journey into tertiary education. To see the full list of Parent Information Evenings visit murdoch.edu.au/parents. On Tuesday 19 June two enthusiastic teams of Year 12 Chemistry students ventured off to compete in 2018 RACI TITRATION STAKES in Resources and Chemistry Precinct at Curtin University of Technology between 5.00 - 8.00 pm. The competition is designed to encourage students who enjoy Chemistry, particularly its practical side, to develop their skills and to reward those who attain a high level of proficiency. Every secondary school in the metropolitan area plus interested country schools was invited to enter two teams consisting of three members each. Each team had one and a half hours to complete all titrations, carry out all calculations and hand in result sheets. Both of our teams performed well and competed successfully with a high degree of accuracy. Congratulations to Jonathan Lim, Domenico Rotendo, Sarah Ho and Sammy Taylor. Student Box is a place where students can chat with other year 10,11 and 12 WA students, while also accessing study tips, exam tips, past WACE exams and advice from university advisors. You must be a current year 10, 11 or 12 student and use your SCASA number to register http://www.studentbox.com.au Registration may take 24 hours to activate. Come on an adventure and discover the world of mining in the historical town on Kalgoorlie! There are all sorts of exciting jobs for girls in the mining industry. The Girls' Focus on Mining Camp is an opportunity to visit different mine sites and participate in a range of university and career workshops. Travel to Kalgoorlie with a bunch of like-minded girls and get a real life insight into what working in the mining industry is like. Visit the Curtin WA School of Mines (WASM) which is ranked #2 in the world for Mineral and Mining Engineering and find out what university life on campus is like. Stay at the Kalgoorlie camp school, explore the historic town, meet WASM students and women working in the industry. Cost: Completely Free of Charge - This camp is sponsored by mining companies and WASM. All travel, meals and accommodation is provided. Please register Here. Applications close Friday, 20 July, 2018. Applications open soon for Rio Tinto's incredible apprenticeship program. If you're interested, then do your research and start putting your documents together to apply. The 4 year program offers qualifications in the following areas – electrician, heavy duty diesel mechanic, mechanical fitter, and light vehicle maintenance. The 2018 ConocoPhillips Science Experience is four days of engaging hands-on science and engineering lab sessions, expert speaker presentations, information on studying at university and careers in Science and Engineering, engrossing challenges, and more. Explore the fields of Agriculture, Medical Science, Chemistry, Spatial Science, Molecular Genetics, Robotics, Physics, Maths and Chemical Engineering. You may watch our event promotion video via this link. The University of Western Australia is looking for current Year 12 Head Prefects, Head Boys and Head Girls to join the UWA Young Leaders Council. A new offshoot of the UWA Student Guild, the Council will be made up of young leaders from high schools throughout Western Australia, and will give them the chance to share ideas between schools, network with other pacesetters and develop leadership skills for the future. Head students who would like join the council just need to complete our registration form by Friday 22 June. Drop into the Careers Office to pick up application forms and make appointment for Mrs Burke to complete page 4 of your application. Engage your students with fun and interesting Mathematics during Curtin STEM Outreach Excursion Program. Three activities are on offer - Math Break Out Boxes, Gameshow Maths and Life Expectancy Calculator. Our staff will guide your students through these hands-on activities whilst raising awareness and students' interests of Mathematics. If you have students that have a strong interest in maths, then this excursion program is for them! Year 11 students Ike Adesanya and Erin Martin participated in the Plain English Speaking Competition on Saturday 9th June at the Australian Britain Society rooms in Shenton Park. Both students were required to deliver an 8 minute prepared speech and later, a 3 minute impromptu speech on an unseen topic with no access to technology and only 5 minutes preparation time. The conditions of this impromptu section make this one of the toughest competitions in Public Speaking. Although the students were well prepared, neither Ike nor Erin progressed to the final. However, they enjoyed the experience of the competition and mixing with the other six competitors who were representing various schools around the Perth area. They are both keen to enter again next year. On behalf of the College, I would like to congratulate Ike and Erin on their dedication and hard work in the lead up to this competition as well as the way in which they conducted themselves on the day. They represented Corpus Christi College with poise and confidence and are a credit to their school. If we want Australian Youth to thrive, we must help them see the bigger picture and encourage them to invest in career pathways that give them passion and purpose. Choosing a career is stressful for young Australians. They worry they will make the wrong choice or not like what they choose. Australian youth are most likely to turn to their parents for career advice, amplifying the need for parents to boost their career knowledge. The VET and Transition Services Department looks forward to working with parents and students in overcoming the main issues affecting young people in the College community. If you want to see which RTOs and businesses are the best at what they do in Australia, check out the winners of the Australian Training Awards, awarded last week. Are you curious about studying in the US? Don't make the mistake of thinking all you need to get in is your ATAR! Read this blog from US and UK admissions experts, to start planning ahead. Our workshops are designed to show entry level coding while having fun. It gives you a taste of what coding is all about. It’s an easy, risk-free introduction to programming. So why not come and join us for a FREE one day workshop and see if you've got what it takes. Get Coding. Dojos are fun, free and social coding clubs for young people aged 7-17. Dojos are not classes or workshops. There is no curriculum. Instead, a Dojo offers an unstructured open free learning environment where young people can meet others with similar interests and advance their 21st century skills by working on creative digital projects of their own choice. The two-day workshop is a recommended starting point for those wishing to develop their illustration skills in the fundamental areas of fashion illustration. No drawing experience is necessary to undertake this program. Are you creatively inclined and thinking about studying creative media? We are offering a 3-Day workshop event in the January holidays – get behind the scenes and pursue your passion! SAE Perth campus is opening its doors this January for the SAE Summer Series, a three-day program for anyone who wants to work on inspiring creative projects in Animation, Audio, Film or Games. This is a short story prize for writers to explore people’s resilience in the face of poverty and disadvantage. There is a prize specifically for writers aged under 18. Entries close 31 January 2018. Which means that by simply including volunteering in your resume, you’ll be ahead of 70% of other candidates, who don’t have volunteering experience. Rio Tinto Earth Assist - January school holiday program for school students over 15 years; participate in hands on conservation based activities such as tree planting, land maintenance, wildlife surveys and bush walks. The concept of company culture can be confusing. This article from this. demystifies it a little. 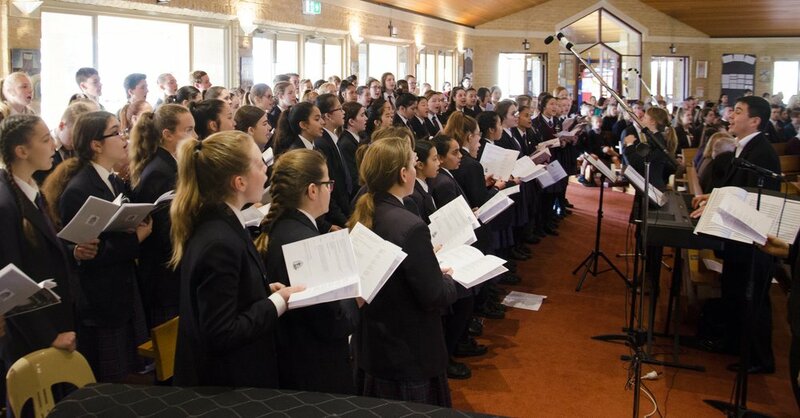 On Friday 21 July, staff and students from various catholic schools and colleges gathered together at Infant Jesus Parish in Morley to celebrate the official opening of the Performing Arts Festival for Catholic Schools and College. 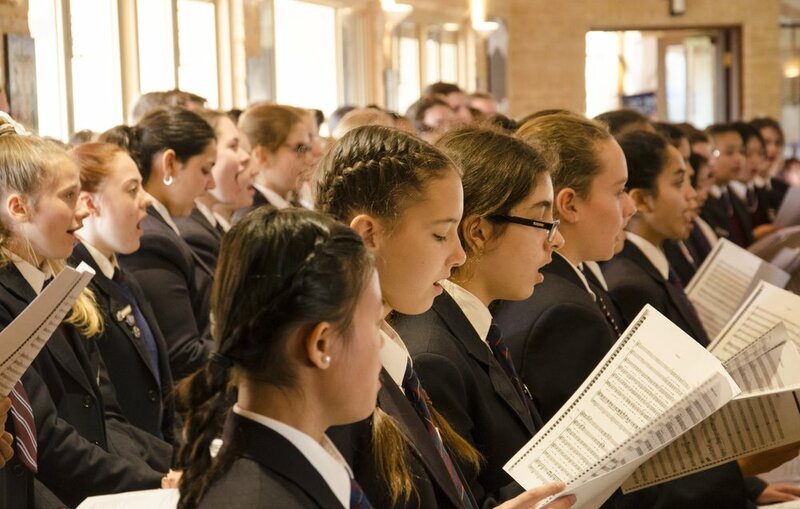 Led by Most Reverend Donald Sproxton VG, Auxiliary Bishop of Perth, the mass was an uplifting celebration of Catholic Education WA’s commitment to fostering the talents of its students. 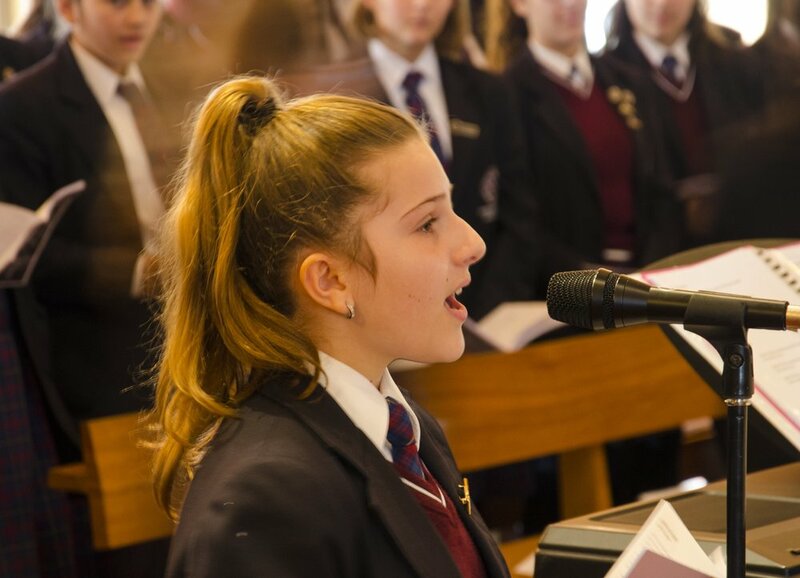 Performers and readers proudly represented their respective schools, sharing their liturgical and performance skills with the congregation. 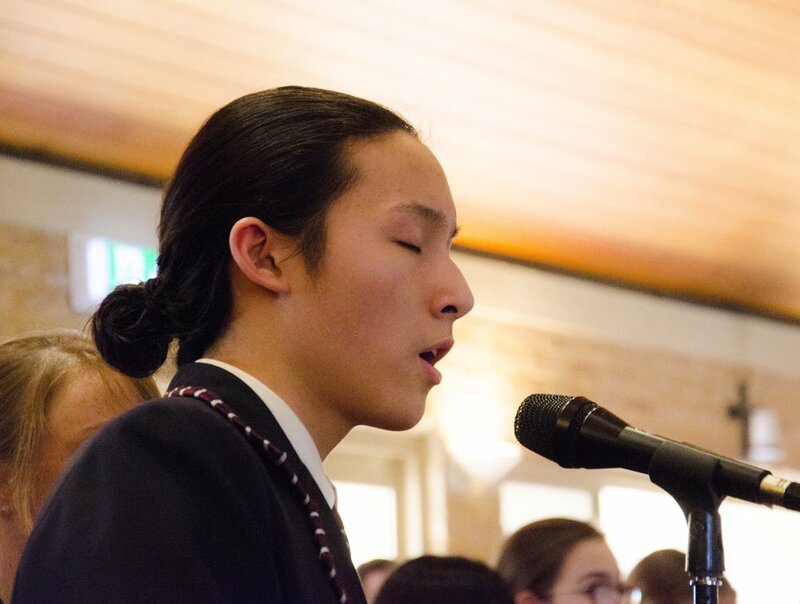 However, a special congratulations must be given to the Corpus Christi Choir, whose incomparable vocal talent demonstrated the true value of song as a form of worship. 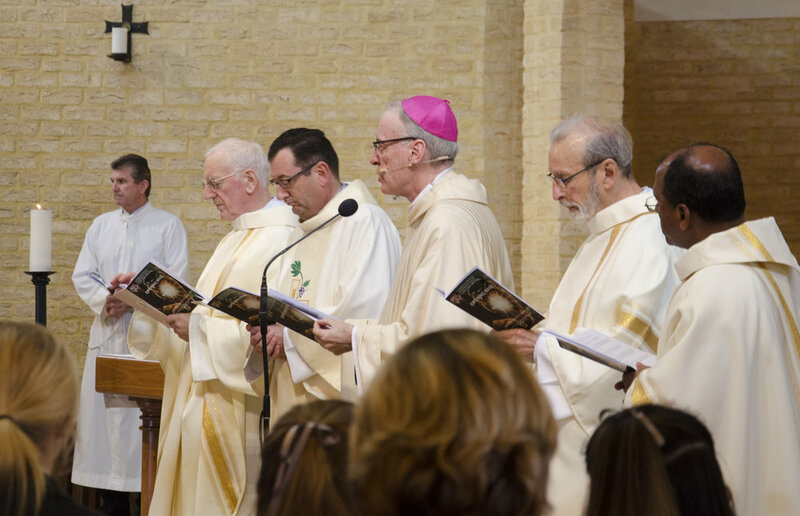 Their voices added an extra dimension to the mass, encouraging full participation and genuine reflection. 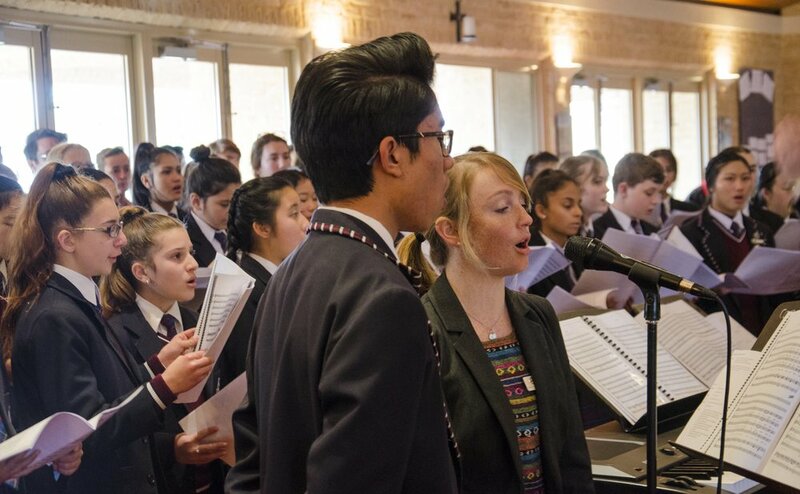 A special thanks to Head of Music David Harries, the Music team and all choir members for their commitment in practice and on the day. 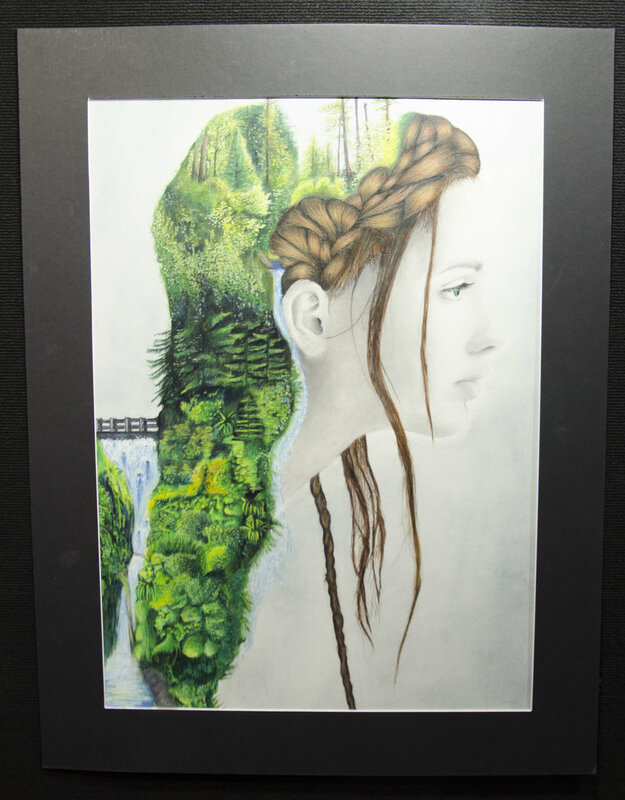 Exhibitions are an excellent opportunity for students to see their work in a gallery format, and many students exhibited at St George’s go on to be contenders for the Year 12 Perspectives exhibition at the Art Gallery of Western Australia following their graduation. Art serves as an important vehicle for expression, portraying the thoughts, emotions and reflections of today’s youth. Many of the pieces in the 2017 exhibition touched upon identity, heritage, social awareness, and environmental consciousness, amongst other themes. Rachel, Tyler, Lloniq and their classmates in Visual Arts have already commenced work on new projects. The College thanks Gaby Fabris, Julie Pannell and the Arts team for helping our students embrace their creative talents. 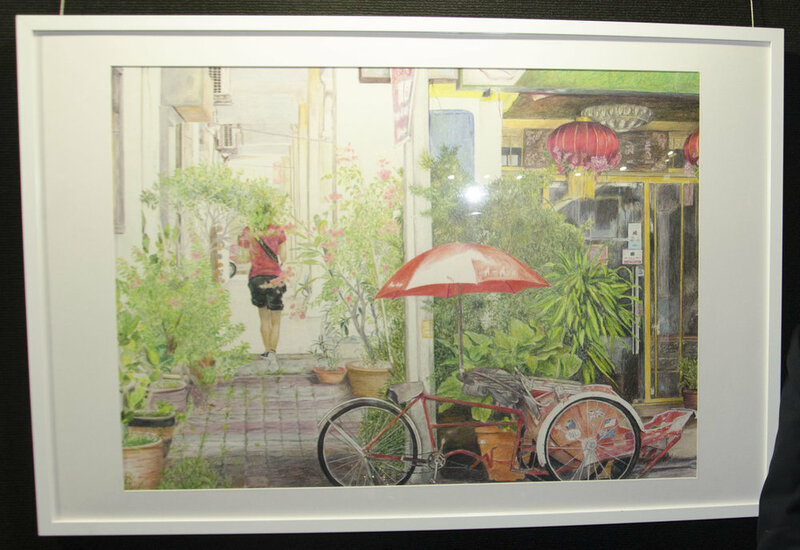 The chosen artworks are currently on display at St George’s Anglican Cathedral in the city through to Sunday 23 July. 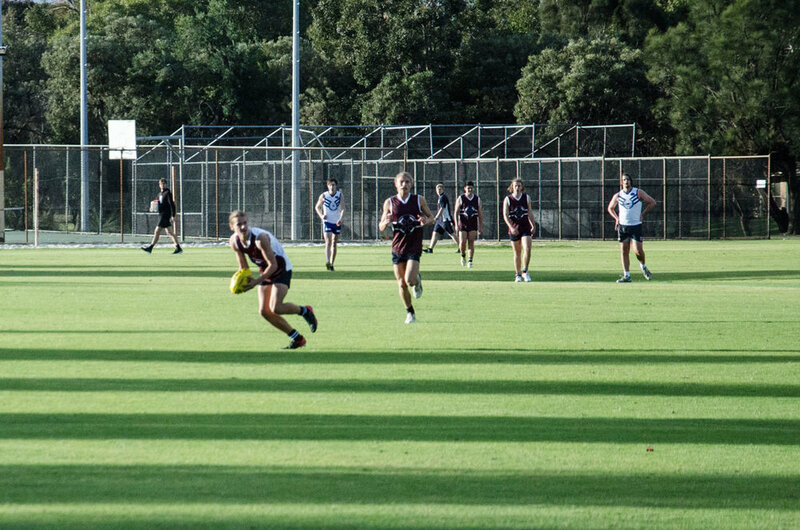 Australian Rules Football at Corpus Christi College has always had a focus on developing strong character and leadership. Football is simply the conduit to which these skills can be cultivated. 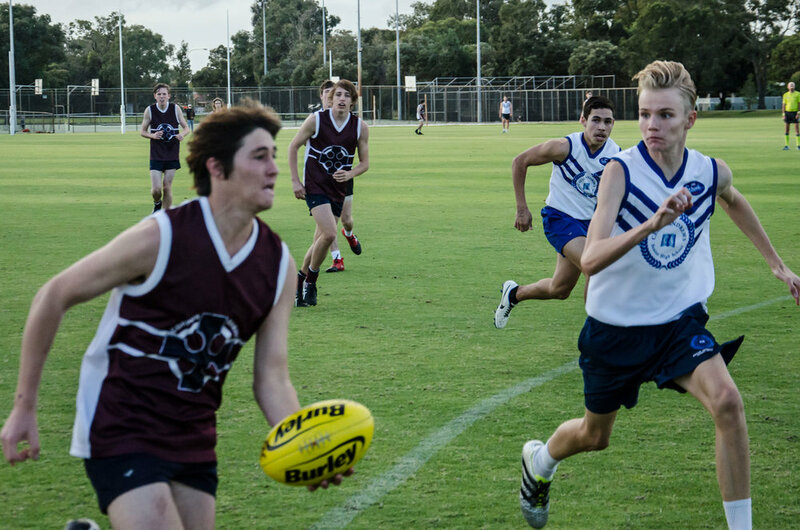 This year our Captain, Gavin Thompson, supported by the Year 12s in the team, were given even more responsibility. This was the first year that these students decided who would play where and what strategies and tactics would be used in the upcoming games. The team embraced this model of increased student independence, which translated into wins on the football field. The season presented many 'on and off field' challenges. They were met with integrity and tenacity and as a result, these challenges were overcome and the whole team continually improved. 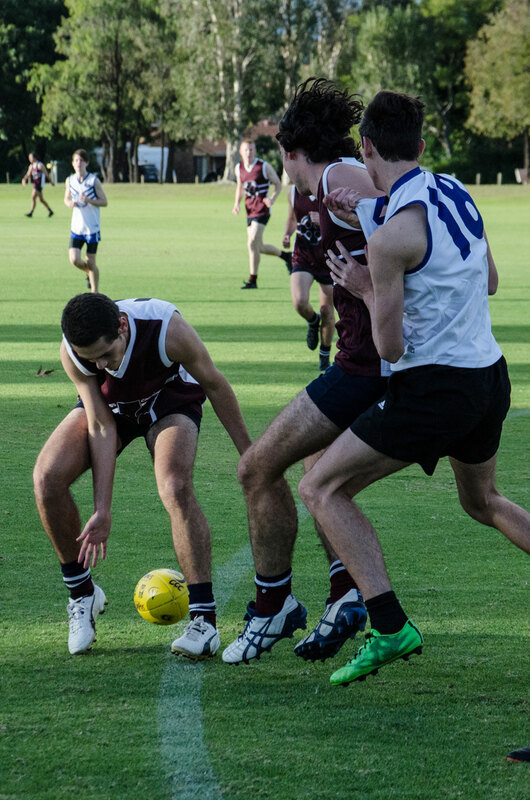 Unfortunately, the boys winning season came to an end in the semi-finals with a gut-wrenching last minute loss to the football specialist school, Cecil Andrews. 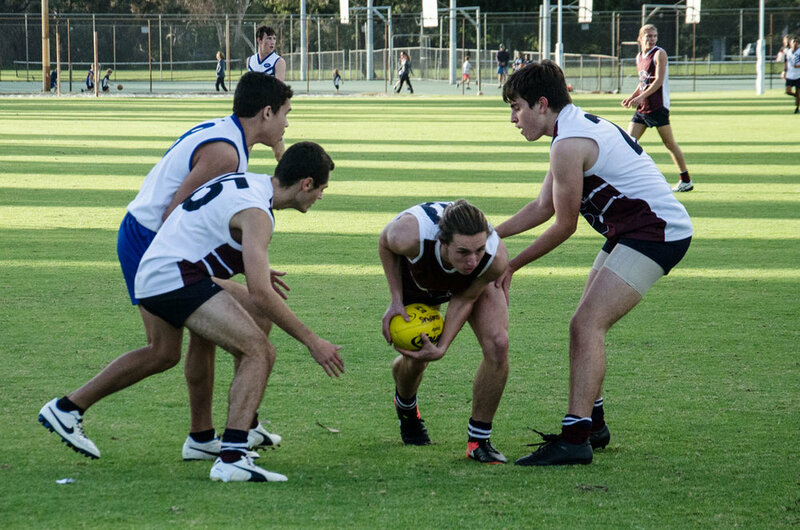 The boys conducted themselves with dignity amidst the disappointment, and have gained far more than they have lost from the experience of being a part of the Senior Boys Football team. The Corpus Christi College Year 12 Psychology class recently visited Yidarra Catholic Primary School to explore 'Piaget’s Cognitive Development Theory'. The students played a variety of games with a Pre-Primary and Grade 6 class. All the students thoroughly enjoyed the visit with the highlight of the Year 6 class being able to show our students their beautifully presented workbooks and receive feedback.